Curious about how the full game will pretty much look like? Or perhaps you have some questions about what's behind the scene? 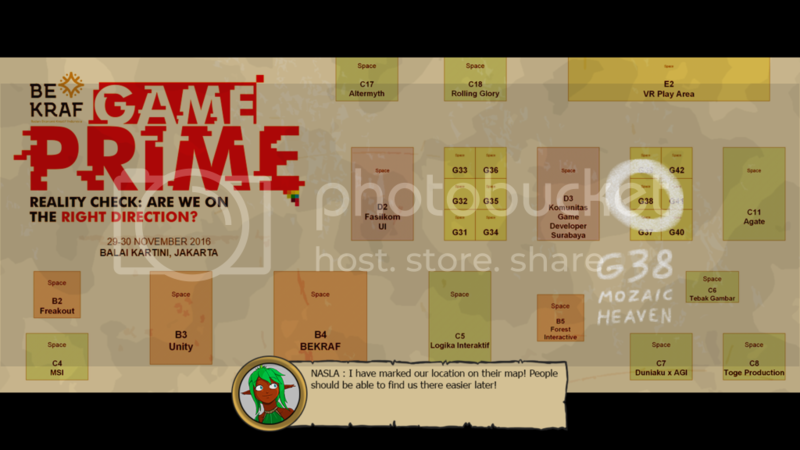 Eurgava - Fight for Haaria will have the chance to showcase itself in Game Prime Asia 29 & 30 Nov this year. That's roughly 2 weeks from now. "...Eurgava hasn't gotten all that much media exposure..."
While I wait for the result from GDWC 2016 ( thegdwc.com ), I will also look for events to help boost the exposure of this game. Most likely, the next announcement is going to tell you about the next event I am going to participate in with this game. Thank you for all the supports, comments, and feedbacks! JOIN US IN OUR FIGHT TO CHANGE HAARIA! As your pilgrimage in Daraedin comes to a closure, you receive a letter from your home village in Haaria asking you to return and temporarily take the chieftain's place during his absence. Apparently, even after the war with Dokia years ago, Haaria is still full with madness. Most of the surviving veterans, having no war to fight in, deserted the army and become raiders. With Haaria unable to keep order within the borders, slavers, criminals, and monsters seized control over everything. You are to clean the mess within your home village in Haaria and assemble the remaining people willing to fight the raiders and reclaim what they took from your homeland! THIS IS A REACTION-BASED ACTION GAME! 1. One misstep in a fight can be your death. That means you can't really split your attention too much when you still have opponents ready to take you down... Unless, of course, you are really that cocky and confident. So don't bother checking your options in the middle of combat. You can only do so when there's no one around or between enemy WAVES. 2. Common peasants cannot change into experienced warriors over night. Seeing the villagers are all inexperienced and not from warrior caste, you'll come to realize that training them from nothing is a tedious task. OF COURSE they will start WEAK. First, they will need to be able to fight on their own, even under your care. Second, they need capable mentors to train them. As you are the only one who has the will and the time to do all that for your people, the task of making fighters out of them is entirely up to you. 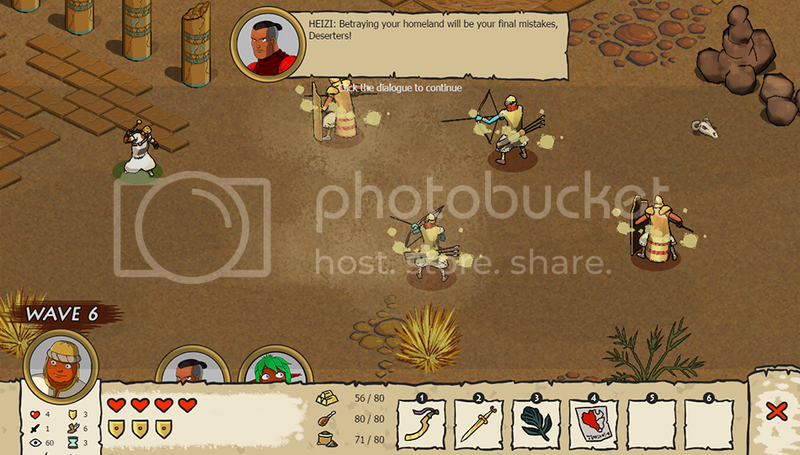 This game is developed by Ibrahim Indra Baskara (2016), an attempt to remake a 2009 Indonesian novel by I Tsu Baskara. Good luck on the release bruh! This game has finally got greenlit! Thank you so much for all the votes, comments, and supports! Now that the game is complete, I will prepare it so it can be published within this year, as planned. 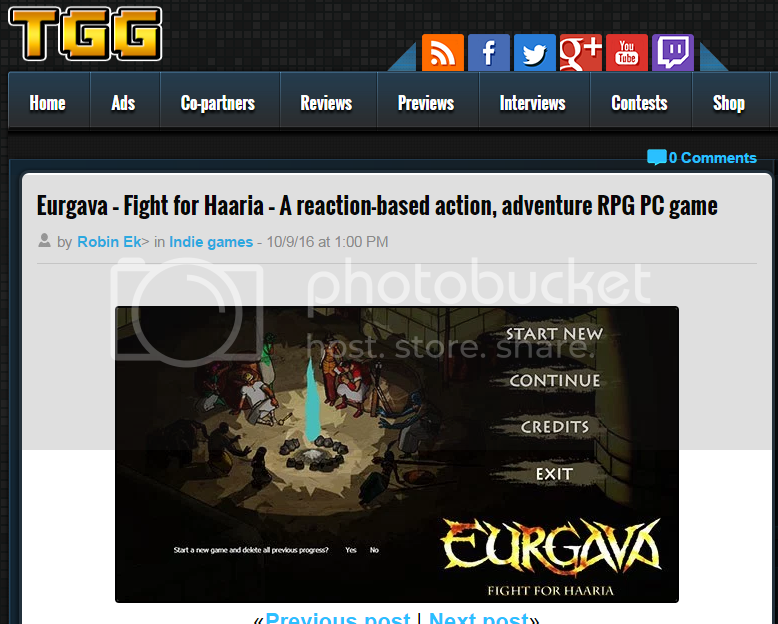 Eurgava - Fight for Haaria has been Greenlit and is now listed in the Steam store. For the latest information, purchase options, and discussions for Eurgava - Fight for Haaria, please see it on the Steam Store or in the Steam Community.